The Moon is now well past First Quarter and is steadily “fattening” as it approaches Full Moon. This evening is the last it will spend among the stars of the summer Milky Way. The chart below shows the southern sky an hour after sunset from the middle of North America. The Moon is in one of my favorite constellations or, should I say, asterism. The constellations were created over the millenia and every culture had their own take on what the stars looked like. Though many constellations (mostly the fainter ones) were created during the last few hundred years, the brighter ones go back thousands of years. The current shapes and mythologies of the constellations came to us by way of Western Europe via the Arabs via the Romans via the Greeks via the Babylonians via even earlier cultures. 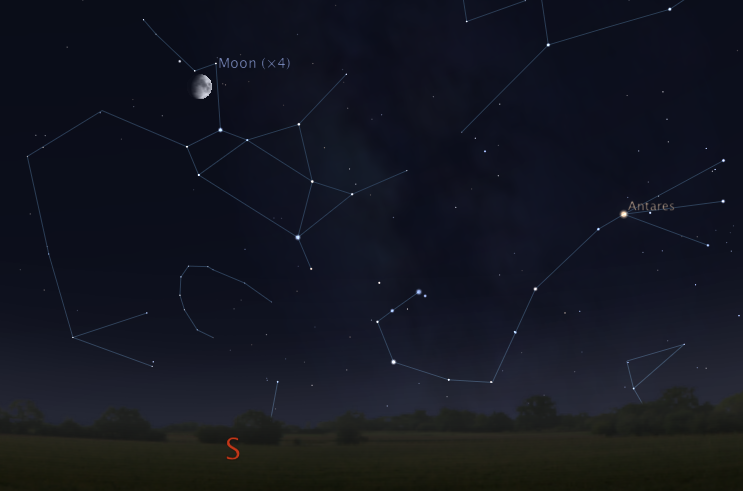 Today the Moon is in the constellation of Sagittarius. 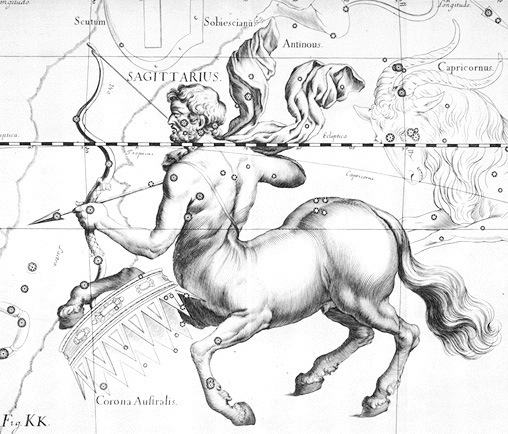 To the ancients Sagittarius was an archer Centaur. Centaurs being mythical half man, half horse creatures. But to be honest, I don’t see it. Rather my modern eyes see a simple teapot. In fact, Sagittarius can be both. 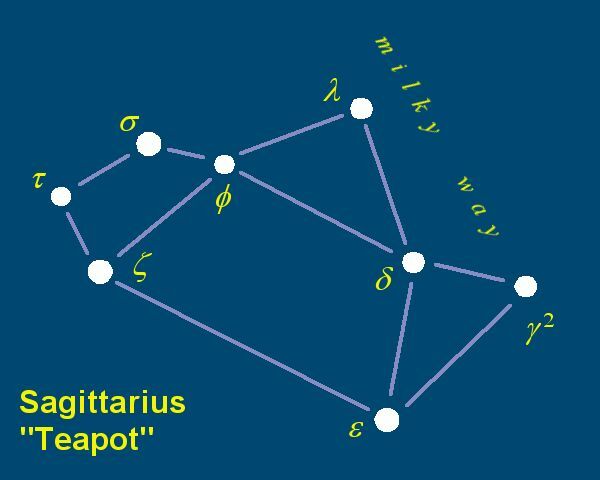 The all the stars in Sagittarius make up the constellation of Sagittarius while the only the bright stars are needed to see the Teapot. Since the Teapot only includes a few of the stars it is called an asterism. Basically a shape that can be created by only part of a constellation (or parts of multiple constellations). The best known example being the Big Dipper which is made up of only a part of the much larger constellation of Ursa Major. So what do you see?